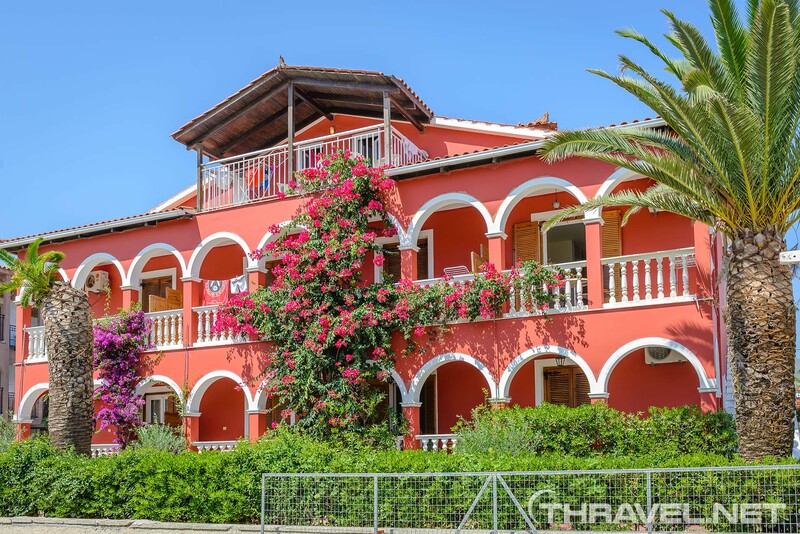 If I have to describe Tropical studios, Laganas in a few words, they will be: the best value for money hotel in Zante. Compared to other properties in Laganas, this accommodation features comfort, friendly ambiance, as well as vicinity to the beach and to the thrilling nightlife. In the high season in July 2016, the price for a double/triple room was only 35 euros per night! We liked Tropical studios in Laganas so much that we went back a second time in August 2017. 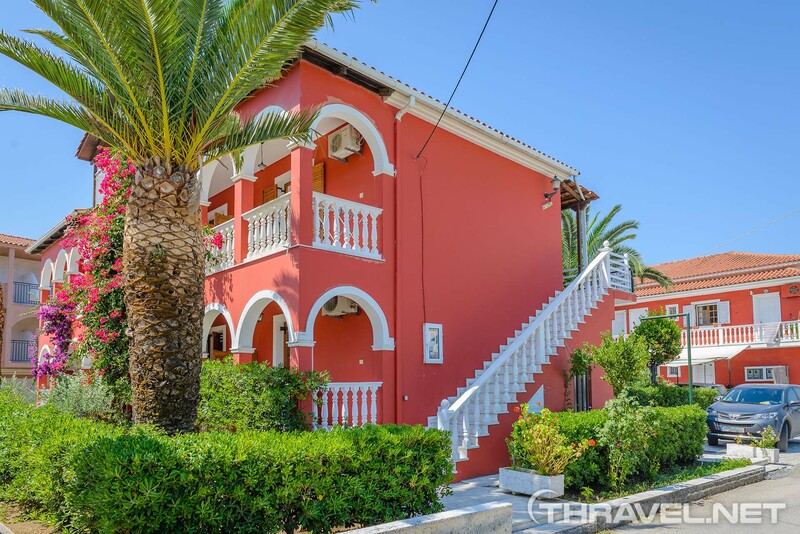 The owner of the property – Georgios, was always friendly and helpful. Prices were still good considering the peak of summer – a refurbished double room cost 45 euros per night. In August all hotels in Laganas were busy with people trying to escape from the wildfires in the Western part of the Island of Zakynthos. In 2017 we stayed in a room on the second floor. This type of room was air-conditioned. We fully enjoyed our stay in Laganas and definitellщ come back to Tropical studios. We decided on booking a Zante hotel just a few weeks before our trip. Since the reasonable price was very important to us, it was tricky to find the right place. Most of the rooms available were more expensive than we could afford. 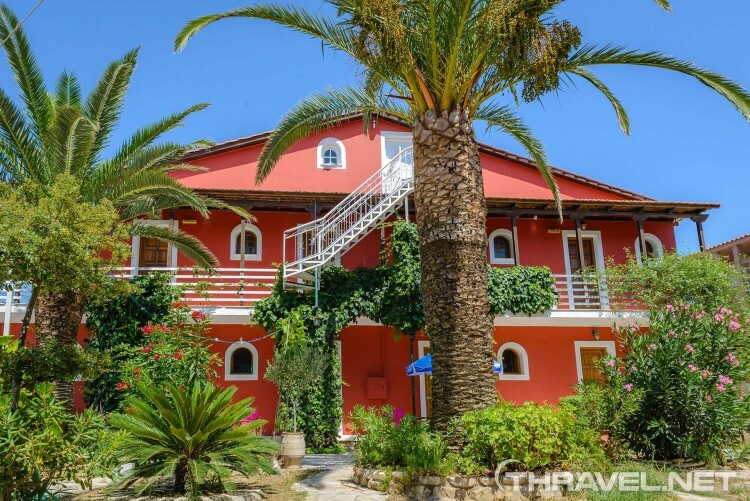 We saw Tropical studios listed in www.zantehotels4u.com. In fact, we were not aware about this website but the communication with the staff was great and we sent a deposit. They were always available for additional information on ferryboat timetable, road directions, etc. The only issue on our arrival was to find the hotel location. We were given the owner’s phone number and called him for instructions. 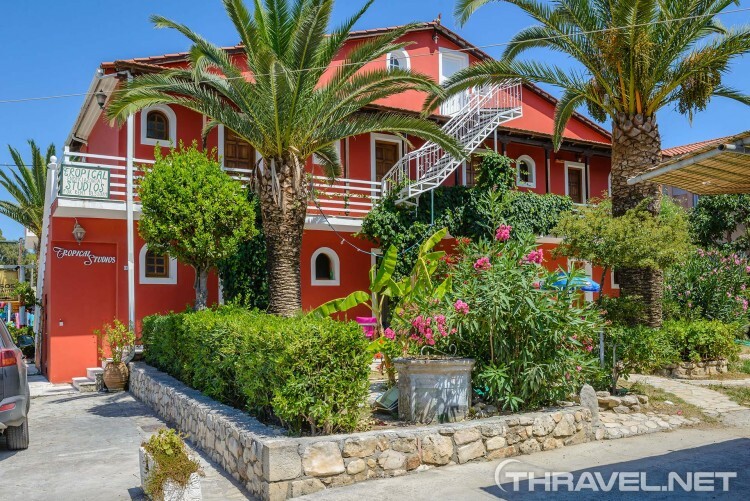 He explained us that Tropical studios are next to the “famous” Best Western Zante Park 4-star hotel. Yet it took us half an hour to get to the right place. After a 10-hour drive to Zakynthos Island it was a frustrating experience. However, as soon as we were welcomed by our host Yorgos, we felt better. The apartments are located in a relatively quiet yet central street in Laganas. From the main street in Laganas we had to turn left on the corner with the Ionian Sea restaurant and then after a few sophisticated manoeuvres we finally found the hotel. The beach is at a 5-minute walk and the lively center is 10-minutes on foot. The family run property features a supermarket called My mart with everything a tourist may need at reasonable prices. Being relatively distant from the very heart of the city, makes Tropical Studios great for relaxation. Yet, even there you could hear crowds of loud, drunk people partying outside at night. So, forget about sleeping with open windows. Tropical studios are set in a lush garden with palms and abundant Mediterranean vegetation. Next to the hotel there are restaurants and shops. Next to the My mart there is a restaurant where Tropical studios guests can order food and get it delivered in the room. Yorgos accommodated us in two large triple rooms on the ground floor. There were three single beds in the first studio and one queen bed and a single bed in the second. Our host noticed than we put together the single beds and provided us with extra sleepwear for more comfort. The bathrooms were spacious with constant supply of hot water. The kitchenette was really small – two hot plates, a sink, a real fridge (not minibar) and basic tableware (spoons, knives, plates, glasses, cups, a pan and a pot). Yet it perfectly fitted our needs. With these amenities, we were able to prepare dinners, as well as breakfasts. Cleaning service exceeded our expectations – our apartment was cleaned and sleepwear was changed every other day. The spacious balconies were separated from the street by beautiful vegetation so we felt like in a tropical garden. On one of the balconies there was a retractable clothesline. It was a nice surprise that we could use free Wi Fi. Although the official information was that the property did not offer internet access, they gave us the password on the second day of our stay! In the garden we could use the barbecue. Yorgos’ father helped us with instructions on how to use it. He provided us with olive oil, brushwood for the barbecue and special equipment. It was a great experience! Yorgos or George was a great host. Whenever we wanted to know something about trips, places to eat or island’s highlights, we received the right info we needed. Yorgos recommended us the best beaches in Zante – Makris Gialos, Xigia, Porto Limnionas and Marathia. He told us which was the best way to explore the Navagio Shipwreck beach and Blue caves. Thanks to his advice we saved money on a boat tour to see giant turtles and instead, rented a water cycle and had great experience. Yorgos has a great family – parents, wife, a baby, a cat and Sally the Dog.